Yeats Country Antiques was established by Mervyn Blanc more than 20 years ago in Sligo. 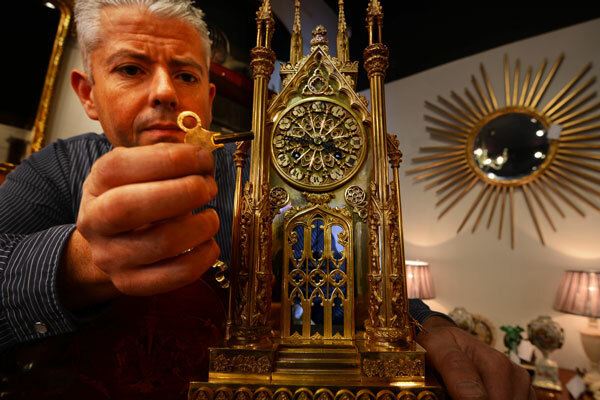 Mervyn is a second generation antique dealer having started his collection in the late 1980’s with a single piece, he has steadily built a collection of thousands of antiques over a period of more than 20 years. Although the business has grown and developed significantly over that time, it remains an owner-managed business that is able to provide a quality service with a personal touch. Specialising in fine period furniture, particularly walnut, rosewood and mahogany items we also stock an extensive selection of other collectable items and provide a comprehensive restoration and upholstery service. Yeats Country Antiques is a member of both the Irish Antique Dealers’ Association, the trade association which represents the leading antique dealers in Ireland and also CINOA, the organization representing the leading Art & Antiques dealers worldwide. Our customers come from all parts of the the world and a large number are repeat customers who appreciate our honest approach, depth of knowledge and genuine stock. We have an impressive showroom located in Dublin's famous Antiques Quarter - Francis Street, Dublin 8 where we display samples of our impressive merchandise at realistic prices. Also located in the north-west of Ireland, where we have an extensive warehouse filled with antiques, at the foot of Benbulben, only a stones throw from the burial site of W. B. Yeats in Drumcliffe.